P.F. 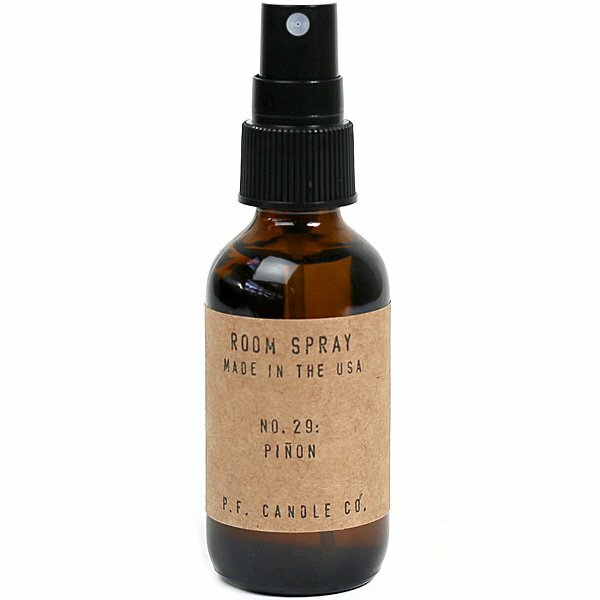 Candle Co. Piñon Room Spray captures the essence of the Piñon Pine, a coniferous staple from the American Southwest. Earthy notes of pine and balsam fir balance resinous amber and spicy black pepper. Light vanilla and smoky cedarwood add warmth and familiarity. This scent feels like an old friend: cultivated but intimate. Top Notes: pine, balsam fir. Heart: amber, black pepper. Base: vanilla, cedarwood, cinnamon.